Though speaking several languages (a bit German, French, Spanish and Italian, the latter nearly without any accent) Lex Barker was always dubbed in European movies. In Germany the only chance of hearing his original voice is to buy his CD, to listen to our Soundbites or to search for one of his rarely available American movies. Nevertheless his voice is worth being heard as it's deeper than those of all his dubbing actors (as it is with many american actors) and very sonorous. Gert Günther Hoffmann (1929 - 1997) dubbed Lex in nearly every movie in the 60ies. His voice is very familiar to German viewers. He usually dubbed for example Sean Connery, William Shatner and Rock Hudson. He has been well known in Germany mainly because of the series "Sonderdezernat K1". He died in 1997 at the age of 68. Horst Niendorf (1926 - 1999) was often heard as a dubbing actor, he dubbed for example several times Burt Lancaster, Robert Mitchum, and Gene Hackman, sometimes Rod Taylor and George Kennedy. Horst Niendorf died in 1999. Heinz Engelmann (1911 - 1996) was well known in Germany because of the series "Stahlnetz". I could just once identify him as Lex's speaker. He also dubbed Stewart Granger in "Unter Geiern" and "Old Surehand". He was also the German voice of John Wayne, Gary Cooper and William Holden. BTW: he dubbed Randolph Scott in "Thunder over the Plains" and some more movies. He died in 1996. Siegmar Schneider (1916 - 1995) - his voice should sound familiar, too: he was standard speaker for James Stewart. Wolf Ackva (1911 - 2000) dubbed for example "M" in many James Bond movies. Sometimes he dubbed Gregory Peck, Richard Widmark, Clark Gable and William Holden. He dubbed Ray Milland in many of his later films. Wolfgang Preiss (1910 - 2002) played many officer roles, for example Count of Stauffenberg and others. He played opposite Lex in the "Mabuse" movies (see "Im Stahlnetz des Dr. Mabuse", "Die unsichtbaren Krallen des Dr. Mabuse") and in "Mr. Dynamit - Morgen küßt Euch der Tod". In the 50ies he sometimes spoke for Claude Rains and Ken Curtis. see hint below! Rainer Brandt (born in 1936) has got an own dubbing studio. He translated for example the series "The Persuaders". He spoke Tony Curtis as Danny Wilde in this series and among a lot of further dubbings (Elvis Presley at least 14 times and Jean-Paul Belmondo in newer productions) spoke Mario Adorf in "Winnetou 1". Günter Grabbert (born in 1931) was a well known actor in the former DDR and is still active in TV roles today. Reinhard Glemnitz (born in 1930) has been working as a dubbing actor since more than 40 years. He dubbed among others Gérard Barray and Guy Madison. He is well known in Germany from TV, mainly as Assistant Robert Heines in TV-series "Der Kommissar". Axel Monjé (1910 - 1962) spoke many Hollywood top stars, for example Rock Hudson, Errol Flynn, Mario Lanza and Robert Taylor. He spoke Jock Mahoney, too, who b.t.w. played with Lex in "Away all Boats". Monjé died in 1962 on stage. see hint below! Claus Jurichs (1935 - 2005) was a dubbing actor for many years; his best known role was Ken Kercheval as “Cliff Barnes” in the TV-series “Dallas”. Holger Hagen (1915 - 1996) was very well known, too. To his major roles belonged Burt Lancaster and Richard Burton, besides he dubbed Marcello Mastroianni, Dean Martin, David Janssen and many others. He died in 1997. Wolfgang Eichberger (1911 - 1963), could often be heard up to his untimely death. He dubbed mainly supporting roles, but sometimes well known stars as well like Randolph Scott, Gregory Peck and Robert Mitchum. He played for example in the movie "Der 20. Juli". see hint below! Horst Naumann (born in 1925) is to be seen in the "Schwarzwaldklinik" and "Traumschiff", where he plays the ship's doctor (until 2010), a role that was earlier played by Holger Hagen. Besides he can often be heard as a dubbing actor, he dubbed for example Sean Connery in "Camelot". In the series “The Prisoner” he spoke for leading actor Patrick McGoohan. Peter Pasetti (1916 - 1996) was a prominent movie- and theatre actor who also worked as a dubbing actor mainly in the fifties. Some of his dubbing roles are for example Humphrey Bogart, Victor Mature, Gary Cooper and John Wayne. Ernst Meincke (born in 1942) followed Rolf Schult in dubbing Patrick Stewart as Captain Picard in the TV series "Star Trek - the next Generation". Besides he can be seen as an actor in some TV series. Klaus Guth (born in 1940) often appears in TV series, but every now and then he dubbs, for example for John Cleese, Leslie Nielsen and Christopher Plummer. Reinhard Kolldehoff (1914 - 1995) was to be seen in numerous movies, mainly in supporting roles. In the 50s to 70s he could often be heard as a dubbing actor. Reent Reins (born in 1946), known from many TV series, is mainly known as a dubbing actor for Don Johnson in "Miami Vice" and "Nash Bridges". Gunnar Helm (born in 1956) is an experienced actor and dubbed Peter Wingfield in “Highlander” and David Morse in “The Rock” for example. Herbert Stass (1919 - 1999) did dubbing work since the early fifties and was standard speaker for Tony Curtis for a long time. Besides he dubbed Dirk Bogarde and Frank Sinatra for example. In the first Karl-May-movie "Treasure of Silver Lake" he spoke for Pierre Brice. see hint below! Hartmut Reck (1932 - 2001) was a dubbing professionell who dubbed for example Richard Chamberlain (“The Thornbirds”) and many other stars like Terence Hill, Richard Widmark, Robert Duvall, Anthony Hopkins and Donald Sutherland. Furthermore he was well known for his role as an inspector in the detective series “Die Männer vom K3”. Lutz Mackensy (born in 1944) has a lot of dubbing experience since the late sixties. He often dubbed Al Pacino and other stars, but does a lot of acting, too, for example in the German series “Großstadtrevier”. Michael Telloke (1945 - 2010) was a highly experienced actor and dubbing actor who dubbed among others Lance Hendriksen in the TV series “Millennium” and David Canary as “Candy” in the TV series “Bonanza”. He spoke for Alec Baldwin and Alan Rickman and many other well known actors. Michael Telloke passed away in May 2010. Manfred Meurer (1908 - 1979) was mainly a theatre actor, but played in movies as well. He started his work as a dubbing actor in 1949, so "" must have been one of his first works - albeit as one of three dubbing actors (see movie description). 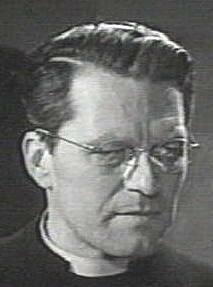 Meurer was mainly chosen for supporting characters, he dubbed for example Jack Elam, Lee Marvin and Boris Karloff. Meurer spoke minor roles in the Karl-May movies "Der Schut" (role: Aladschy Sandar) and "The Desperado Trail" (role: Scotter). see hint below! Lutz Schnell (born in 1960) played theatre roles even as a child. He visited a theatrical school and played in famous movie "Das Boot" in 1980. Later he could often be seen in German TV series as "SOKO 5113", "Die Männer vom K3" and "Die Sturmflut". Since some years he did mainly dubbing and radio plays. He dubbed for example Leland Orser ("Emergency Room" and "Twisted"), Val Kilmer, Dennis Quaid, Antonio Banderas and Sam Rockwell. Ulli Kinalzik (born in 1939) is well known from movies and TV where he played the leading role in "Hafendetektiv" and guest roles for example in "Tatort", "Derrick", "Der Alte" and "Ein Fall für zwei". He worked as an dubbing actor, too. He dubbed for example Viggo Mortensen and Peter O'Toole. He even played in the open air theatre of Bad Segeberg in the famous Karl-May plays. Klaus Nietz (born in 1943) has been an actor, radio speaker and dubbing actor in the former GDR and continues his career successfully since the reunion of the German states. He spoke for example for David Ogden Stiers in the TV series "The Dead Zone" and for Martin Landau in the DVD dubbing of some formerly deleted scenes of the classic TV series "Mission: Impossible". He had numerous guest appearances in German TV shows. Heinz Behrens (born in 1932) worked successfully as an actor in both German states. In the former GDR, where he worked additionally as a dubbing actor, he had several guest appearances in popular TV shows. Wolf Frass (born in 1948) worked as an actor on several TV productions (u.a. "Tatort" and "Gro�stadtrevier") and does radio plays and audio books. Additionally he works as a dubbing actor, for example for Rutger Hauer, Nick Nolte and Michael Ironside. Interesting: In the film "Der 20. Juli" from 1955 there are five actors who spoke for Lex Barker: Wolfgang Eichberger, Manfred Meurer, Axel Monjé, Wolfgang Preiss and Herbert Stass. Some of the Karl-May-movies with Lex were shown in other countries, too. Though while shooting Lex spoke English the other actors spoke German or their native languages so the movies had to be dubbed anyway. According to Universum-Film Lex didn't dubb himself but they have no sure information on this. Rialto told me that there is no information available concerning dubbing of the Karl-May movies. The dubbing studios and Rialto's partner do no longer exist, so it will be up to us to decide by hearing the English version whether Lex dubbed himself or not. Lex did probably dubb himself in the English version of these films! Only in "Treasure of Silver Lake" I have severe doubts about Lex dubbing himself, in the other movies I'm sure about hearing Lex' own voice here! Please judge by yourself here. By the way: Lex dubbed himself in the movie (not included in these boxes!) "Old Shatterhand". Addition May 2015: according to new information Lex was definitely dubbed by someone else in the english version of in "Treasure of Silver Lake"! Additional information to this most interesting theme would be most welcome! In this movie Lex is dubbed by an English dubbing actor, he didn't speak himself! (See biography by Reiner Boller). You can find some sound files in the movie description. As far as I know Lex spoke Italian very well, but it was the usual practice in Italy to dubb each movie so all of his movies were dubbed with different voices. Unfortunately I don't know anything about his dubbing actors in Italy. A Barker fan told me that in the Czech Republic Lex had been dubbed by the same actor Vladimír Ráž in all of his movies. Ráž was born on 1st July 1923 and passed away on 4th July 2000. In imdb you can see his filmography. Addition October 2015: There's a great Czech homepage about the Karl May films karel-may.majerco.net. Here most German dubbing actors are listed, mostly with sound files. Click on the movie title in the table. On YouTube you can see part of Apache Gold with Vladimír Ráž speaking for Lex Barker. And another YouTube videeo with a part of a Karl-May movie with Vladimír Ráž taken from The Desperado Trail. Many thanks to pholcmann for the information on these videos! Many thanks to Urszula for this information! I only have one information on a Spanish dubbing, and that's "Aoom". Lex spoke English while shooting the movie but was later dubbed in Spanish. Soundfile see here. I want to thank everyone who contributed to Lex' dubbing informations, most of all I got from Jürgen! Additionally I want to thank everyone who added pictures to this site!